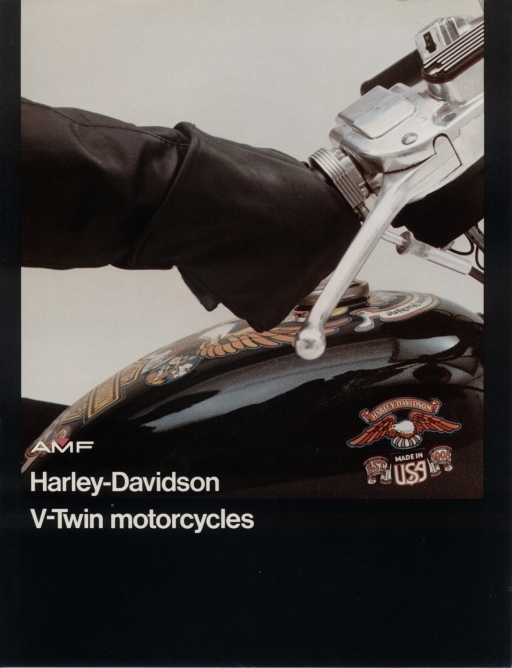 Peter Guralnick wrote that at the end of October, 1976, Elvis received a shipment of motorcycles that interrupted a lackluster recording session at Graceland. He insisted that everyone watch them unload outside and try them out on short runs.1 However, no specifics were given about the brand or models. 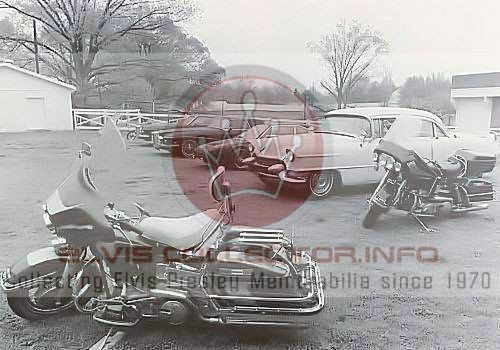 By October one might expect that the newer 1977 models would be available but none are in the collection at Graceland and no known pictures have surfaced of him with any of that model year. 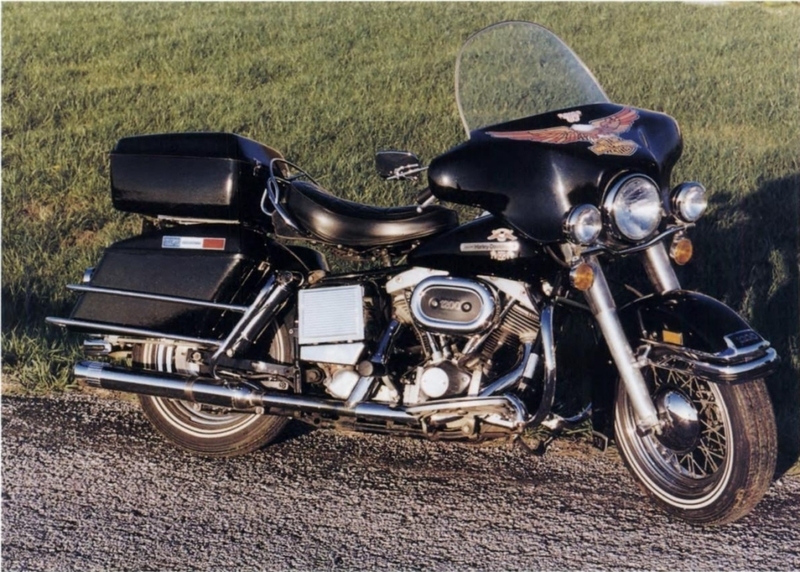 One motorcycle in the collection, however, is a 1976 Harley-Davidson FLH 1200 Electra-Glide with custom paint that, aside from the 'batwing" fairing, is dressed to his usual taste, complete with windshield, buddy seat, engine guards and saddle bags. The Elliott brothers at Super Cycle in Memphis were contacted to service and recondition various items in the collection in the early eighties, though Ron doesn't recall this motorcycle being there at the time. It does, however, show up in pictures on the property before the addition of the Auto Museum in 1989. Interestingly enough it has a not too dissimilar paint scheme from the one in Murdo, SD from California. 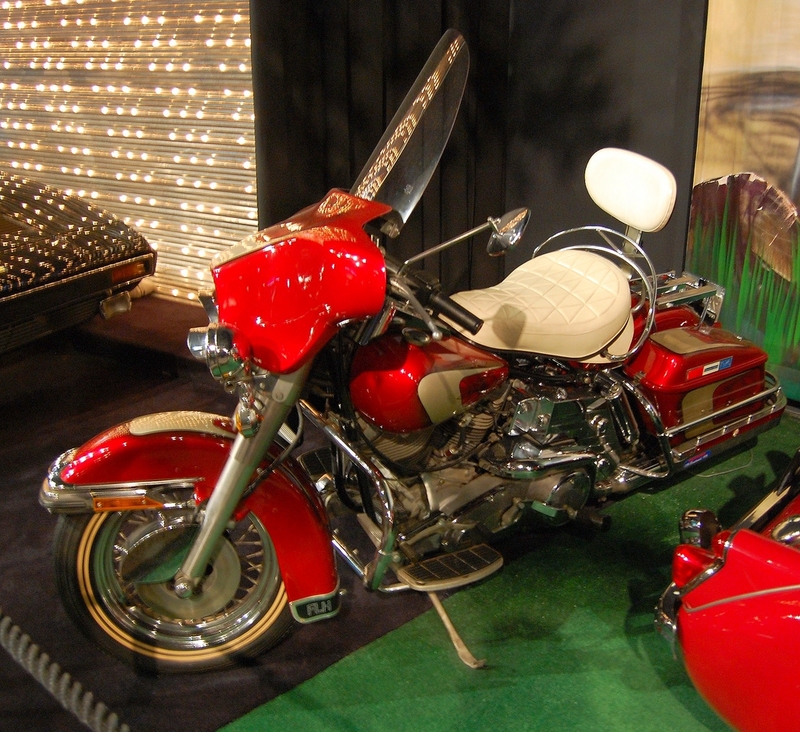 This FLH has been on display over the years in the Auto Museum at Graceland but is currently on display in London at the O2 exhibit with several of the other vehicles from the collection, including the Pick Cadillac and the Harley-Davidson golf carts. 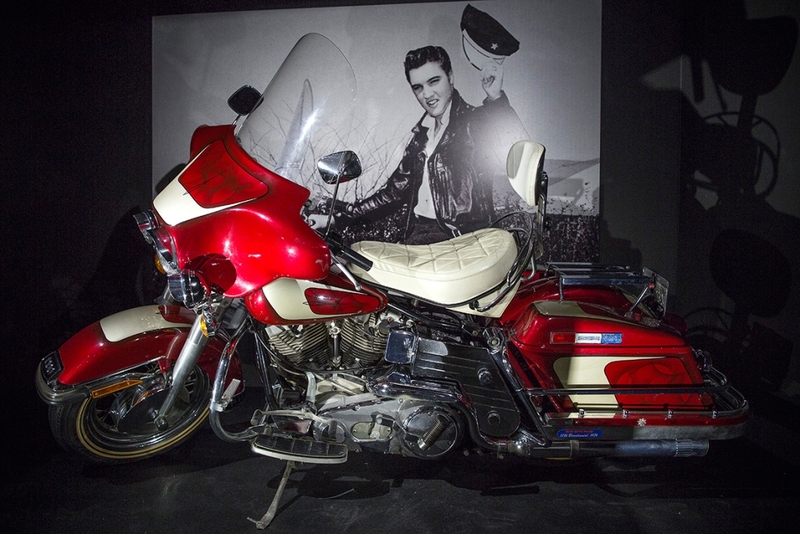 Several other pieces from the collection are also in Las Vegas at the Elvis exhibit in the Westgate Hotel, no doubt facilitating the renovations and construction planned for the grounds in Memphis. 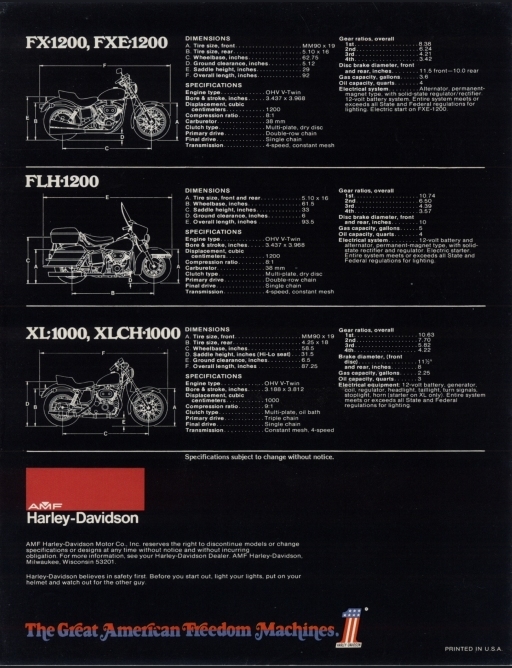 As has been demonstrated, Elvis had an obvious preference for Harley-Davidson, FLH and Electra-Glides in particular. Its quite likely that had he survived he probably would have continued to ride and today his choice of ride would probably have been for one of the contemporary Harley-Davidson Road-Glides, Street-Glides or Ultras. 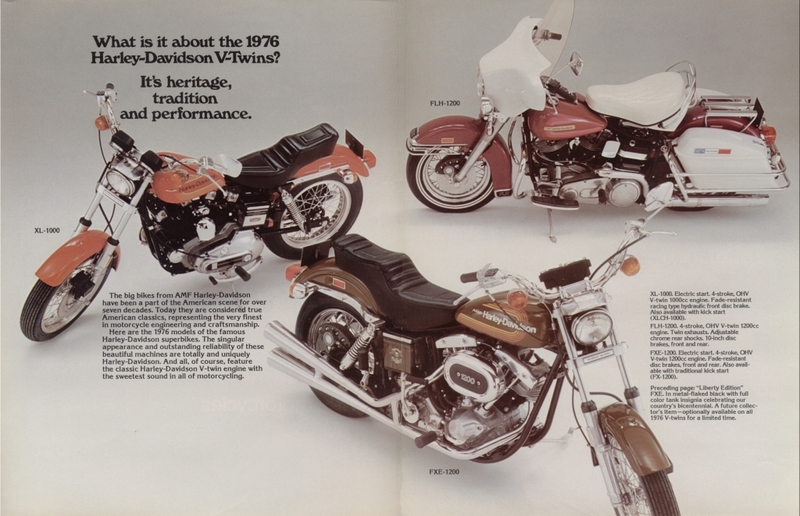 Maybe even a Road King Classic, the descendant of his original FLH (or quite likely, many of each). All photos on this site (that we didn't borrow) unless otherwise indicated are the property of either Scotty Moore or James V. Roy and unauthorized use or reproduction is prohibited.